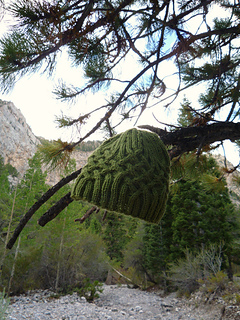 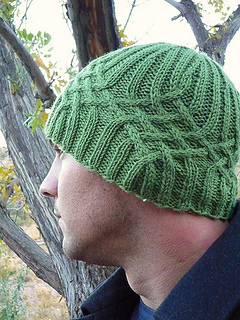 Just in time for the super cold weather, here’s a manly but oh-so knotty cap. 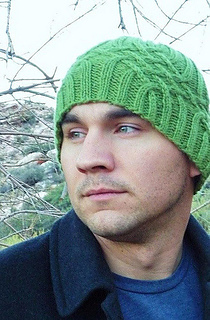 Inspired by my hottie husband’s wild side: adventurous but protecting, fashionable but manly and naughty but nice. 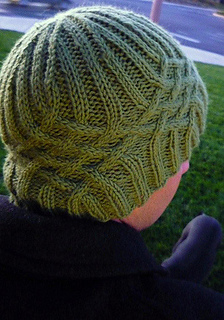 The same can be said for the hat: the ribbing is basic, but the cabled knot, well, it’s a bit knotty at times. 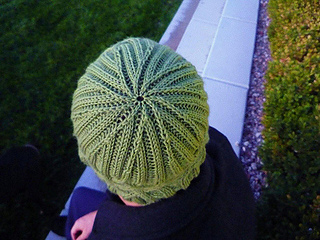 This hat is the perfect thank-you gift for the man or woman in your life that pretends not to notice that your stash is like guppies (constantly multiplying), and that once again you brought knitting to bed in scrubby jammies. 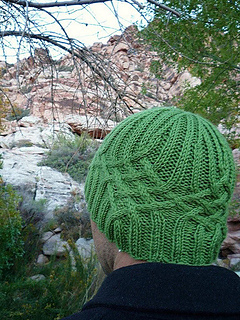 Will stretch to comfortably fit head circumference up to 24 inches.